Testing is an essential part of software development process. Testers test the software and find out bugs that help to enhance the quality of end product. As a result, your customer gets satisfied and happy when he is able to fulfill his requirements without any failure while using your product. In order to achieve customer’s confidence, the tester should know how the customer is going to use the product, and in doing so, what are the possible scenarios that he may encounter. He should be able to write effective test cases in order to find out maximum bugs and issues. Can UX Designers Help You? This article describes an interesting phenomenon where you can ask your UX designers to perform testing of your product. Some of you might think that UX designer is a full time responsibility and you should not disturb this person through additional tasks. Still if you can afford, I have a strong recommendation to do so. Let me explain a bit further. A UX designer is an expert of your product as he has defined the feature set. He can perform specification based testing by using your product and going through the user flow with a critical eye. The result of this exercise will be a list of quality bugs that need a consideration by development before your product goes to customer. An important thing in this model is that UX designers will work with testers and not in isolation. Let’s see how this approach can help your organization, and how UX designer can play an important role in testing. Since UX designers have defined behavior of the product, they know each and every aspect of this definition. They can easily go through the product as a user, and evaluate it as an experienced tester. For effective software testing, the testers should write test cases based on strong assumptions that how user will interact with the product. UX designers have covered maximum possible use-cases and user scenarios. They can create effective test cases based on critical user tasks. UX designers have few exceptional skills that differentiate them from other people. Their detail oriented nature helps them to look at the product from various perspectives. The abilities of a UX designer when combined with software testing techniques, provide you a highly beneficial experience to improve quality of your product. UX designers can indicate weak points in product that may require improvements in user experience, or that may lead towards new requirements. While testing the product as a user, a UX designer behaves as source of user testing. UX designers will always prefer user requirements and needs. They know that user wants to work on a product to fulfill his required tasks flawlessly. This helps you to give importance to your users and serve them in more efficient way. This approach works the other way round as well for UX designers. By performing detailed testing, they come to know many possible scenarios that might need to work on. Defining the product FOR YOUR USER is a separate thing, whereas working on the product AS A USER provides you a totally different experience. UX designers become familiar with user working, his intentions, and his desires while playing around the product. Your UX designers can perform effective testing of your product. They can enhance the value of your product to the extent where achieving user satisfaction is much easier. Try the given approach, and trust me you will be surprised with the results! 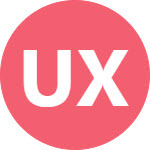 ‹ PreviousWhat Makes UX Design Your Passion?